PNX’s Yorke Peninsula tenement holding of approximately 1,200 square kilometres over 4 tenements (EL4031 Minlaton, EL5491 Koolywurtie, EL5196 Coonarie, and EL4983 Weaver Hill) is located on the eastern edge of the Gawler Craton within the ‘Olympic Domain’, a world class copper/gold province. 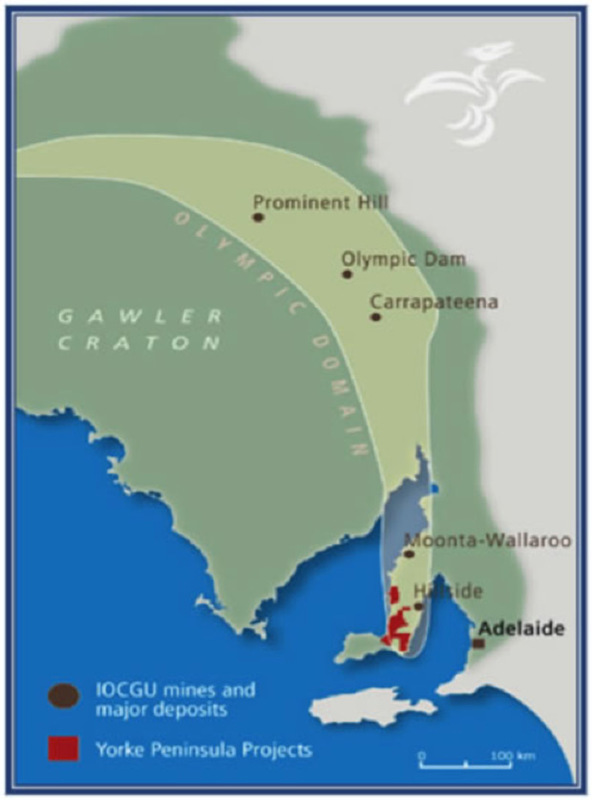 The Olympic Domain extends from the Yorke Peninsula in the south, to Prominent Hill in the north, and hosts the Hillside, Carapateena, Prominent Hill and the giant Olympic Dam deposits (see below). 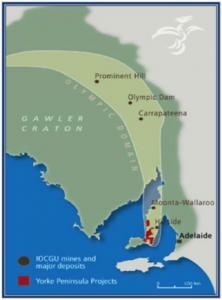 The Company continues to seek a partner to assist in carrying out a comprehensive exploration program over its Yorke Peninsula tenement area, following up on work done by the Company to date and strong IOCG (iron-oxide, copper gold) potential of the region. a program run in 2011. 5 of the 6 holes returned anomalous copper intervals over 400ppm and one hole recorded an intercept of greater than 0.1g/t gold. 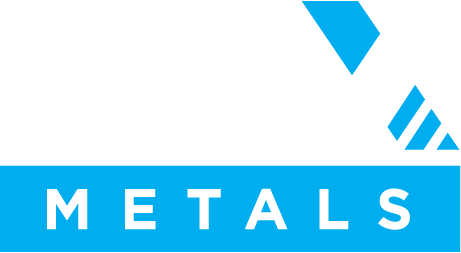 Further, the lithologies, style and intensity of alteration, and levels of sulphides intersected throughout all six drillholes confirmed the Company’s geological models and provided increased exploration confidence for vectoring to IOCG mineralisation within PNX’s tenure. The 6 holes drilled under this initial DD program covered only a very small area within the Company’s large and prospective tenure on the Yorke Peninsula, and only tested 3 of the 29 VTEM targets identified. They were the first diamond holes drilled in the area since 1955 when 2 holes were drilled at Balgowan. New targets at the Balgowan and Cross prospects were tested during a 3,074m, 100 hole aircore (AC) and slimline reverse circulation (RC) drilling program conducted in February/March 2013. Both areas are characterised by coincident geophysical anomalies consistent with the signature of IOCG mineralisation. Depth of cover above the prospective basement host rock ranged from 10m-30m allowing a significant number of holes to be drilled over a large area. The initial phase of drilling aimed to identify shallow secondary geochemical dispersion patterns associated with primary mineralisation, to confirm the source of the coincident geophysical anomalies, and to gain a greater understanding of the geochemistry in this environment. 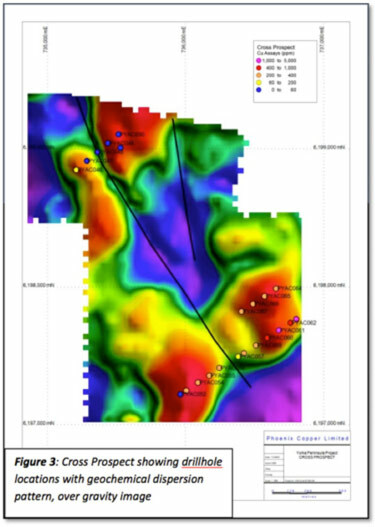 Figure 2: Balgowan prospect: a) drillhole locations over gravity image; b) Copper assay grid c) Iron assay grid. White rings are geochemical and geophysical highs. Anomalous copper was observed in all areas tested with the best results coming from the Cross Prospect. Here drilling defined elevated copper at the basement interface coincident with gravity and magnetic anomalies that may indicate primary mineralisation at depth (Figure 3). The Balgowan prospect was drilled to delineate the lateral extend of the IOCG mineralisation intercepted in historic diamond drill holes DDH1 and DDH2 completed in 1955. The recent drilling intercepted anomalous geochemistry in prospective rocks, including massively altered magnetite, biotite, calcsilicate metasomatitic rocks (containing high percentages of iron over a large area) which are possibly associated with a regional mineralising event (Figure 2). The alteration system identified is still untested at depth. Overall, the results from this shallow drilling program were encouraging. Prospective geology and geochemistry within a significant alteration system was identified together with a new area that has the potential for mineralisation at depth.